RCA’s Jake Owen will offer fans a chance to view his live show online with is first-ever streaming concert tonight (12/3). Owen is set to play a sold-out show at Joe’s Bar in Chicago, and will stream the entire 90 minute event live for free. 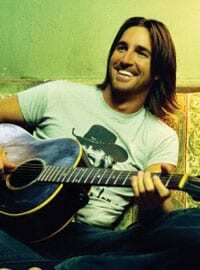 Sponsored by LongHorn Steakhouse and Chicago’s US99, the concert starts at 10 pm CT and can be seen at www.jakeowen.net/live. “I am so excited to do this show and to be able to give something like this to the fans who can’t be there in person,” says Owen. 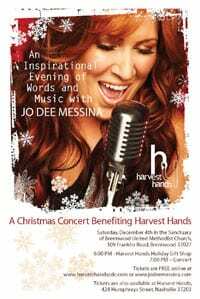 Similarly, Jo Dee Messina will be streaming her second annual “Inspirational Evening of Words and Music” on Saturday, Dec. 4 live at 7 pm CT on www.jodeemessina.com. The event, which benefits Nashville’s Harvest Hands Community Development Corporation, takes place at Brentwood United Methodist Church. Online viewers will be able to make donations while watching. Tickets are still available by making a donation on Messina’s website or http://www.harvesthandscdc.com/.